ParkPower® has listened to its customers and has responded to feedback concerning some installations where switches need to be recessed through varying thicknesses of panels. The 700RV Easyfit™ switch achieves this through and easily removable threaded ring allowing for panel thickness up to 3/4" (19mm). This durable switch is designed with a removable key 45° past the off position, labeled handle and a removable back cover covering exposed terminals. The switch can also be surface mounted offering a unique style compared to other switches available on the market. 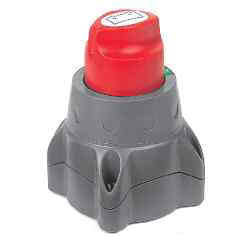 The 700 Easyfit™ can easily be retrofitted in place of most European post and lever type switches.